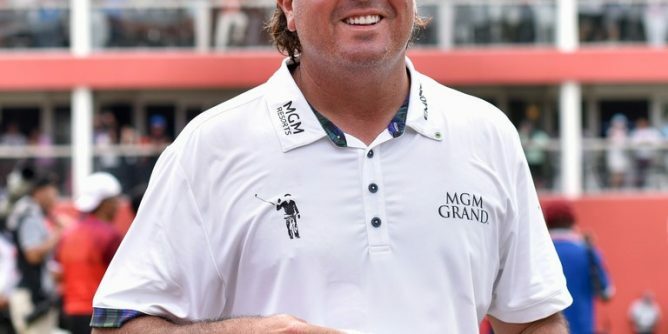 Last Sunday was full of excitement as forty-year-old Pat Perez rose like a phoenix from ashes to hold off Keegan Bradley for his second win in less than a year. Perez picked up his third career PGA Tour victory on Sunday by winning the CIMB Classic in Malaysia, finishing four shots clear of Bradley. The veteran held a commanding four-shot lead overnight, and he strengthened his position when he began his final round with three consecutive birdies from the second, although he did offer a glimmer of hope to the field when he dropped a shot at the sixth. But Perez holed a good putt for birdie at the short eighth to turn in 33, and he had the luxury of planning his way cautiously around the back nine with none of his closest challengers able to mount a significant challenge down the stretch. Perez’s feat comes after a long recovery from a shoulder injury last year that threatened to wreck his career. Perez finished the tournament with a 24-under 264. Victory earned him an automatic entry for next year’s Masters in April, the $1.26 million prize purse and 500 FedEX Cup points. After Malaysia, Perez is knocking on the top 20 in the world rankings and boasts a resume that could rival nearly any other player over the last 12 months.